What are the different types of wedding blogs? wedding vendor blogs: vendors who blog to promote and share their business and work. Their blog serves as a portfolio of sorts. professional wedding blogs: they come in many sizes, shapes, styles, and focuses but they all have certain things in common: we make an income from our blogs, and thus we pay taxes, have quality standards and practices, post consistently, and adhere to a set of standards put in place by the FTC regarding sponsored content, not to mention a plethora of other unspoken/unwritten rules that exist in the blog world. The blog is the business. Is this wedding blog your full time job? Running BSB is now my primary career, but it took me quite a while to get here. I started the site in May of 2008 while planning my own budget savvy wedding, and it was 4.5 years before I felt like I could make this site my full time business. My background is in graphic design, so for a while I did quite a bit of freelance work in addition to BSB, but ultimately had to give it up as the site grew to take up more of my time. What is a typical day like in the life of a wedding blogger? There's no such thing as typical for me these days. I'm not sure if my schedule would be enviable to most, but I am really committed to doing what I do- it's all work that I am passionately interested in, so to me it's totally worth it! I don't have a ‘real' schedule, but these are all things that I do or deal with on a daily or weekly basis. First of all, I host and manage my site on a WordPress platform. It's a really robust Content Management System that allows for static websites or blogs. If you want to learn how to set up your own website or blog using WordPress, I've written a great tutorial on the subject. I also recommend BlueHost as a hosting platform to host your blog or website. Proof and edit each post that goes up on the site. I spend time adding photos, choosing tags and categories, and optimizing the posts for SEO (search engine optimization). Interacting on twitter / FB / pinterest – schedule social media shares for each post of the day. I filter all my emails through my Gmail account– and I mean ALL of them. Between my blog and personal email, I typically have somewhere around 200 emails each morning. I generally do a quick look over all the emails- delete the excess junk mail, and prioritize my inbox into what are the most important or needing the quickest response. news alerts and blanket press releases from companies looking to get their products featured on BSB (usually for free.) I delete ALOT of these. occasional email submissions from photographers or brides who'd like their weddings featured on the site. In 2013, I redesigned the entire site (utilizing my graphic design background) and my developer Taylor McRae executed my vision. I am getting ready to roll out some more site updates in the coming months that have fallen to the backburner but I couldn't be more excited! Currently working on: updating the text spacing for easier readability, updating the look of certain pages on the site, concept and development for an easier navigation and layout for the site, general look + feel updates, etc. We use a site called Asana to communicate about the desired updates, the status of projects, etc. I've been working on some collaborations with different bloggers and companies that will benefit the content and features of BSB! Some of these include the FREE DIY Printables from Download & Print, the Blooms on a Budget Series with Maddy of Confetti Pop sponsored by Blooms by the Box, the new Money Mondays series from LearnVest, DIY tutorials with Elizabeth of Stockroom Vintage and Old Time Pottery, and some possible future features as a part of Martha Stewart's blogger network. I enter in my expenses to keep up with where my money is going. Some expenses associated with running the blog are hosting fees, domain fees, event tickets, conference fees, paying my developer for work he does, design update fees, transportation to and from business related meetings, etc. Luckily computer software and hardware updates, craft supply purchases for DIY projects, and blog related lunch meetings are write-offs, too! I also prepare and send invoices to advertisers for sponsored posts and things of that nature. I typically check out my business overview once per day. These include BSB statistics, analytics, ad earnings, affiliate networks, etc to make sure everything is functioning properly and get a financial overview of how I'm tracking for the day, week, month, etc. I see what trends highly so that I can determine what the readers like best – I want to continue serving up content that you all like, so this helps me get an idea of what does well. I'll be doing a reader survey soon to get some feedback from you guys as well! I attend various conferences, networking events and workshops each year and many of these have fees involved. I like to constantly learn about new technologies, practices, and ways to improve the blog and what we have to offer, so attending these conferences is huge for me. I've also had the opportunity to meet many other bloggers who I've befriended over the years. It helps to have friends who get it – they know what I do and what I'm going through because they do it too! In the past I've attended blogging conferences like BlissDom, networking events like Martha Stewart's Dreamers Into Doers and the B-List, as well as personal development workshops like the Making Things Happen conference, Marie Forleo's B-School, Alt Summit, Inspired Retreat and more. How do you make money as a wedding blogger? There are many different types of wedding blogs. From the big, general wedding sites to local-focused sites to the more niche-specific sites like BSB. Each type of wedding blog will likely have a slightly different business model, but this is how my business works. One of the ways I earn money is via Ad Networks. There are several positions on the site that earn us money based on traffic and clicks. This is a fairly traditional form of advertising, in which a third party network sells, manages, and hosts all ads on behalf of a large group of publishers. Publishers like me are then given a code to embed the ads on our websites, which are served by the network. So you might occasionally see some more generic, non-wedding related ads in our header or sidebar depending on your browsing history. Sometimes I have brands and businesses who want to advertise with me directly, rather than through a network. These companies are those that I have a direct relationship with. They can purchase banner ads in our sidebar or in our resource guide. Of course, we only choose to work with sponsors whose work / service / product we actually trust. Another area of income for us is affiliates. This is my favorite way to work with brands, because it feels more authentic and honest for me. We have a wide variety of affiliate partners that we work with at The Budget Savvy Bride, and I have personally vetted or tested them all. When we share links from our affiliate partners, if you click those links and make a purchase, we will earn a small commission from those links. Using our affiliate links to make purchases will *never* cost you more money. In most cases, it could save you money! Because we work with our affiliate partners to secure exclusive wedding deals for our readers because we rock like that. 😉 I often seek out affiliate relationships with partners whose work or products I absolutely adore, so you never have to worry about us recommending something we don't actually believe in. Interested in affiliate marketing? Read this page to learn more about how to get started with affiliate marketing. Another fun and interesting way that we bring in revenue at The Budget Savvy Bride is by working with brands on sponsored content. Now, I know what you're thinking. Why should you trust anything we write about a brand if they are paying us to do so? I am here to tell you that I hold us to the highest standards of integrity when it comes to sponsored content and I have routinely turned down offers to work with brands I didn't believe in or that weren't a fit. Whenever I work with a brand to create sponsored content, I strive to do what I do with any other post on The Budget Savvy Bride: provide value, teach our readers something new, or introduce them to a new resource they didn't know they were missing. 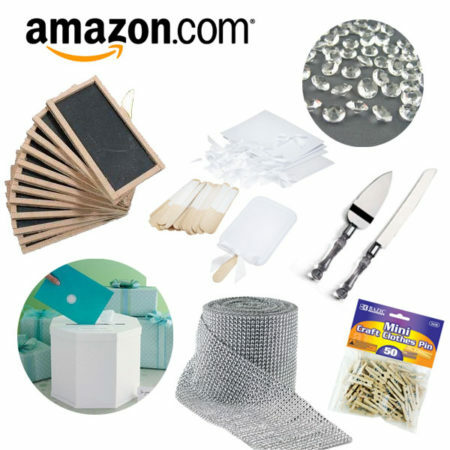 For example, many of our sponsored posts include products that help us to make a DIY project that will help to personalize your day, or gift to your bridesmaids to show your appreciation. We always put the reader first in our minds when creating any piece of sponsored content and we truly hope that none of our content comes across as a sleazy ad. Our posts here at The Budget Savvy Bride should accomplish one of these things: equip, inspire, empower, or inform the reader, and I truly believe that even our sponsored content accomplishes that goal! In addition to writing on The Budget Savvy Bride, I also contribute to another few sites. I am the resident Weddings Expert for About.com, and I just joined the team at Oriental Trading Co. to start contributing some fun DIY wedding content for their site as well! These, as well as some others from time to time, bring in some additional income for me. It's a TON of work, but I love what I do. This blog but it is more than just a job for me. I've spent over eight years working on BSB, and I didn't start it with the intention of it turning into a business. Over the years, it's grown and surpassed my wildest expectations, but I am not an overnight success story. I spent 4.5 years before I felt like I could leave my day job to consider blogging full time, and for a while I was supplementing my income with freelance design work. Only within the last year have I brought on any help to make things run smoother, but that has been so worth it! Running this blog is not something I would've continued doing if I didn't absolutely LOVE it. Some of you might remember (or if you've read the archives you'll know) that I started this blog for fun, as a place to share my own wedding planning experiences. I had no idea that it would grow into what it is today, but I couldn't be happier to be doing work that I enjoy and that helps others who are going through what I went through! There are difficulties involved in being a blogger too… it took a very long time to get to where I am. I spent years building and maintaining the blog with little financial gain- that's how you know I love what I do because I basically did it for peanuts for years! The income is definitely variable, so that is something that you have to plan for — luckily I'm pretty budget savvy! 😉 And then of course there's the fact that many people just don't get what I do no matter how hard I attempt to explain it. There are also a ton of blogs out there so it's hard to keep yourself from getting caught up in ‘competition.' As I said it has taken me years to get to where I am, and I've had to work to remain focused on my growth and comparing myself only to how far I've come! But all of these hardships are worth it because this blog is mine. It's a part of who I am and I've put my heart and soul into building it to where it is today. I *know* what it's like to be a bride with a small budget with no flippin' clue of how you're realistically gonna make your dream wedding happen. Everything I do to work on this blog- every partnership I make, every post I schedule, every sponsor we choose to work with- these are all done because I truly believe that it will help you, the readers, in your goal to have a fabulous wedding. Much of the money I earn from the blog gets reinvested into building out new features, site updates, etc because I want to continue to grow the site and make it even more helpful for all of you! Whew- if you're still reading, I hope this little peek behind the curtain helps answer any questions you might have wondered about. If you ever have other questions, feel free to leave a comment or email me- I'm happy to share! If you're a wedding blogger and interested in joining a community of other bloggers who are passionately interested in what they do, and in fostering relationships with other bloggers to help promote standards for our profession, please check out Aisle Society. If you are interested in starting your own blog (be it wedding related or another focus) please check out this post on how to get hosting and start a wedding website or blog. I also offer consulting on the side from time to time and would love to help you get started! Thanks to everyone who reads this blog, even if you didn't make it through this beast of a post- because you're allowing me to do what I love and for that I am truly grateful!